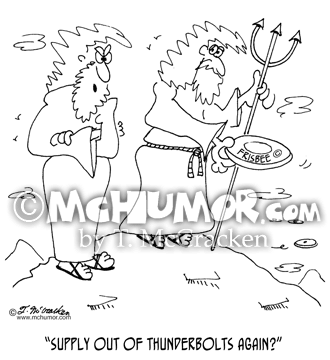 Weather Cartoon 6901: Zeus/Jupiter asking Poseidon/Neptune who's throwing Frisbees from the Heavens, "Supply out of thunderbolts again?" 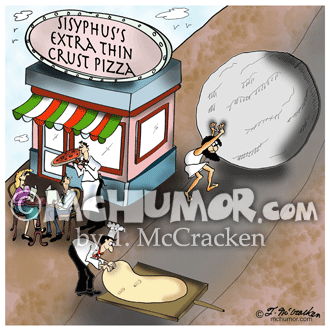 History Cartoon 1744: A scuba diver swimming through a ruin. 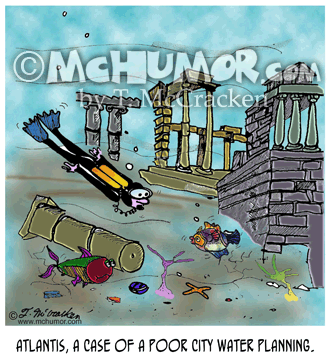 "Atlantis, a case of a poor city water planning." 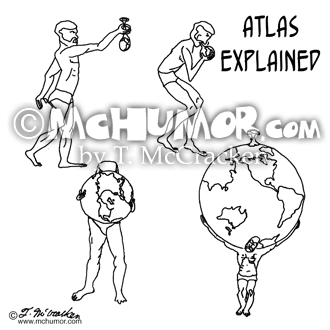 Geography Cartoon 0100: “Atlas Explained.” Atlas holding out a balloon with map markings on it, then blowing it up and finally putting the huge balloon on his shoulders. 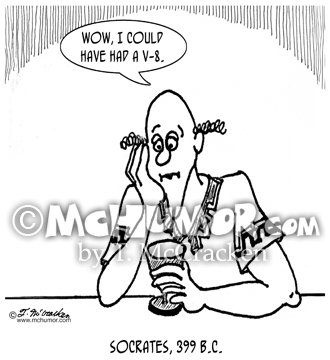 Computer Cartoon 1719: "Great Moments in Computer History." 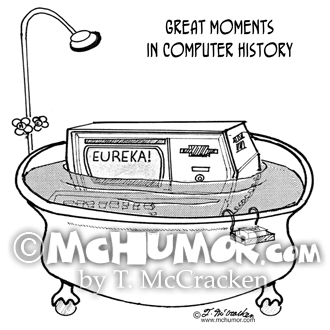 A computer in bathtub shouts, "EUREKA!" 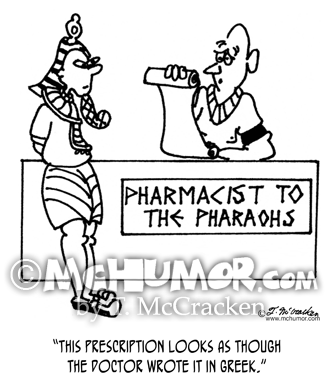 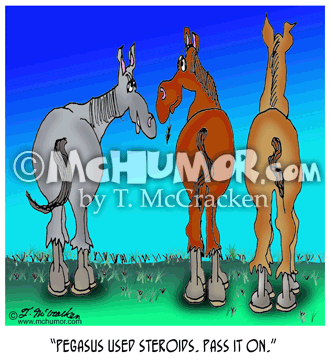 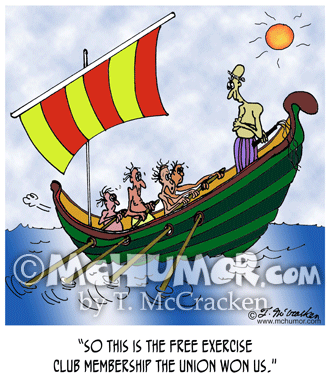 Exercise Cartoon 6385: A rower on a Phoenician Slave ship says, "So this is the free exercise club membership the union won us." 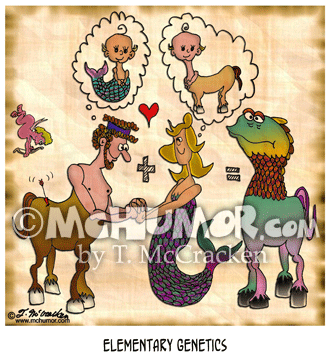 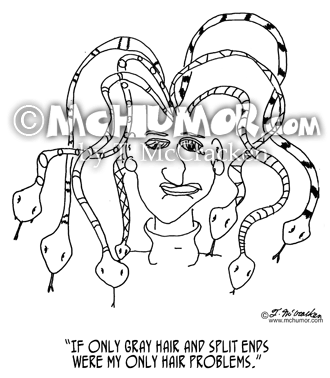 Beauty Cartoon 2945: Medusa with snakes for hair saying, "If only gray hair and split ends were my only hair problems."